Apple has updated its vintage and obsolete products list with various older products that have not been manufactured for at least five years, including select Macs manufactured between early 2008 and late 2009, the second-generation Time Capsule and the 32GB original iPod touch. Apple products on the vintage and obsolete list are no longer eligible for hardware service, with a few exceptions. Apple defines vintage products as those that have not been manufactured for more than five and less than seven years ago, while obsolete products are those that were discontinued more than seven years ago. Only the new additions are reflected below. I think it is interesting that the iPod with 32GB of storage is being listed as obsolete but here we are, still getting 16GB storage from brand new devices. I know it has been beat to death but therein lies another rub, why is this something that can even be mentioned? 5400rpm platter drives. etc. It's irritating that Apple calls "Obsolete" computers that aren't. They should support them longer than 5 years. (Yes, I know that those from 5-7 years are just "Vintage" but the effect is the same.) Technology is advancing slowly these days and there are top end Macs that are "Obsolete" but are faster than the entry systems of today. Your devices. They're just done making old stuff because they have lots of other products to maintain. Do you just like living 7 years in the past or are you extremely tight with your money? You would have to define "living in the past." It does have a lot to do with me being tight on money, but I also know Macs really well and prefer the build of earlier machines. My PowerMac so far only has one issue as far a limiting me (and that's only due to me not being able to open wire files with Blender). But I can contact the support desk for Autodesk and get a copy of Maya 2008 and then open my Alias Automotive files and then be fine. None of my devices connect over 802.11ac, so my AEBS still works perfectly. So it's not so much "living in the past" or being limited by finances as much as it has become more of not upgrading if it's unnecessary. Indeed--"obsolete" (and "vintage") refer only to Apple's willingness to provide parts and service on their devices (and to allow authorized third parties to do officially do the same). It does not reflect that device's ability to function properly with current software, nor is having a "non-obsolete/vintage" item a guarantee that it will run current software, even from Apple. For example, none of the iPad models are even "vintage" yet, but not all of them support the current version of iOS (or even bug fixes for older iOS versions). On the other hand, some of the Macs that are now "vintage" or even "obsolete" still do support the latest Mac OS. I wonder if that means the next major OS X release will have higher system requirements? They haven't raised requirements since Mountain Lion. The "obsolete"/"vintage" designation is based entirely on when the product was last manufactured (and whether Apple wants to keep providing official parts and service for it). This doesn't mean that the next OS X release won't have higher system requirements, but this designation doesn't actually factor in to that. I think this list is awesome because almost every Mac/Apple Device that I have is either vintage or obsolete! My wife has a Late 2009 iMac (recently added as we all know), a 8GB iPhone 3GS, and an iPod video from 2004. I have: PowerMac G5 Late 2005, PowerBook G4, iBook G3, 3rd generation Airport extreme, my 32GB iPhone 3GS, and my iPod video from 2004. The only things that don't seem to be either are the iPad 1s that still work and my wife's iPad mini 2. Mac Pro. The Classic is laid to rest. Not quite. The Mid 2012 Mac Pro (MacPro5,1) would be the last. The headline is misleading. My workhorse mid-2007 iMac is only 1 full year obsolete. How so? The headline doesn't even mention 2007. Reading this thread on a late 2008 MacBook (that's right, no pro) with 8 GB of RAM running El Capitan as my late 2009 27" i7 iMac with 12 GB or RAM (also El Capitan) keeps on chugging on the other room. 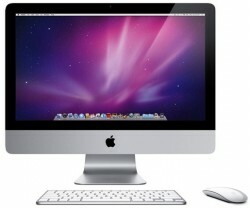 Unless you're doing heavy video work, animation, or gaming that iMac is a trooper. Still works well for my wife doing graphic design. All of these computers are powerful enough to keep up with just about any media consumption / web browsing (I chalk it up to the mobile emphasis). There just hasn't been a need to keep upgrading unless you're actually a serious creator. Long live the vintage Macs!